Our goal is to minimise disruption and maximise efficiency. That’s why we have no problem at all in coming to your workplace to conduct your professional headshots. In fact we prefer it, your team is in their work environment and not some before unseen photo studio and are therefore a lot more relaxed. That is not to say that the image quality we deliver is any less than if we took the portraits at our studio. Our system is finely tuned, depending on the brief, we make no compromise when it comes to professional lighting or backgrounds and can transform any modest space into a fully functioning professional photography studio. 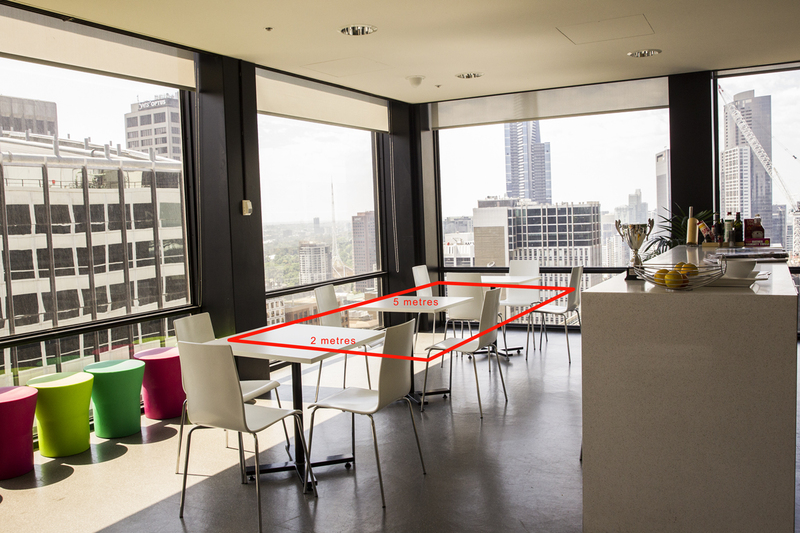 Typically we need a clear space of roughly 2m x 5 m. Areas that may be suitable could be your staff breakout area, boardroom,large office or meeting room. At a pinch your reception area may be suitable. The image above gives an idea of the kind of space we need. Our system is such that each image is ready to be viewed in real time on our laptop or ipad. This gives the sitter immediate feedback and makes the final selection process a breeze. Although our goal is get the excellent results you are after with a minimum amount of fuss and disruption we take the time to ensure each member of your team is relaxed and that we are getting the portraits you are expecting. Some portraits may take 5 minutes, some a little longer, but we are there to help and coach as we go.